Most Fire Safety Codes throughout the world only mandate the use of conventional water-based sprinkler systems for building facilities protection. Whilst the water-based systems have been effective fire fighting tools and have saved many structures, these water-based fire-fighting systems sometimes cause more harm than good. Furthermore, the flooding of water into the Servers and other electronic/Telecommunications Equipment is often as devastating to the equipment as the fire itself. 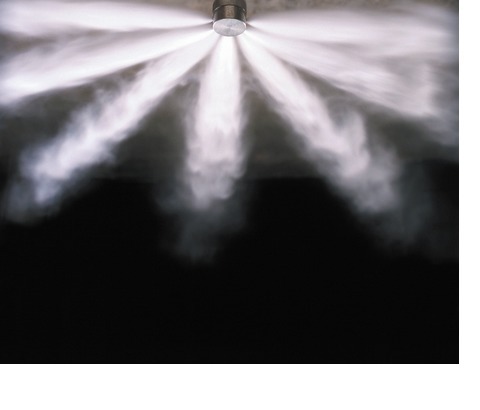 With advanced technology, unique tubing system and gas, fire suppression is sure smarter. BASSCOMM Nigeria uses technology such as FM 200 and Novec 1230 to suppress fire in seconds whilst saving your electronics as well. These technology detects fire and extinguishes it at a precise point. That is the fire and suppression is constrain to just the part of the room it started. These technology is non-conductive and have high evapourization rate. Which means, you can pour a bucket full of Novec 1230 on your mobile phone and it still would function as new. Contact us today for your world class smart fire suppression technology.